The Korea Inequality Research Network (KIRN) was organized in 2007 when discourses on ‘social polarization’ began to appear in the public sphere. The KIRN is a network of researchers on inequality and social stratification from diverse disciplines including sociology, economics, education, gender, health and welfare. Members of the KIRN share the necessity of sociological understanding of social change and its effects on inequality and social stratification. For the last two decades, Korean Society has experienced remarkable social change including financial crisis, aging population, rising precarious works, growing gaps etc. Social change in Korea has been so rapid and comprehensive that it might be considered as quasi-experiment in that the pace and the scope of social change has been unprecedented. 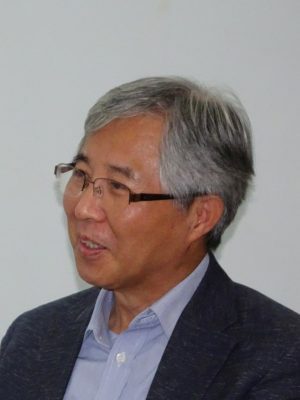 The KIRN has attempted to strengthen research network of sociologists in East Asia from the beginning, as most East Asian societies also have experienced the similar social change. While societies in East Asia are in the different stage of industrialization, they have experienced in common population change, intensifying educational competition, gradual weakening of traditional gender relations and intensifying labor market duality. Collaboration and sharing research outcome of researchers in East Asia will promote not only collaboration for academic research on inequality and social stratification but also mutual understanding of social problems across countries and finding ideas to deal with those problems. East Asian social transformation has been more rapid and comprehensive than that in Europe in the 19th century explored by Classical sociologists such as Karl Marx, Max Weber and Emile Durkheim. East Asian experiences in social change might be a fertile resource for rejuvenating sociological discourses on social change and social stratification. The KIRN will play a role in providing a platform for sharing researchers’ interests and outcomes in Korea and East Asia.